Located opposite Kingscliff Beach on the New Tweed Coast, Paradiso offers a great location and quality accommodation on the NSW-Queensland border. Ideal for a weekend getaway or long, lazy beachside holiday, the resort features contemporary apartments with Balinese-inspired decor. The self-contained one and two-bedroom apartments include fully-equipped kitchens, laundry facilities cable TV and balconies. Some apartments also feature private rooftop access with pool, garden or ocean views. 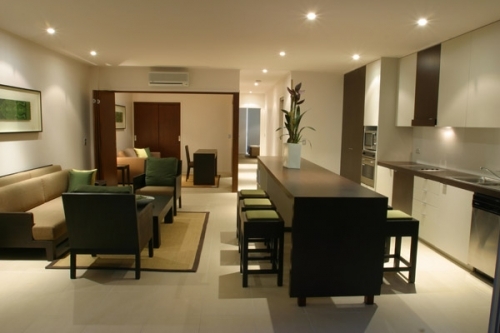 Recreational facilities include a swimming pool, sundeck, steam room, spa and gymnasium. From Paradiso, guests are within walking distance to Kingscliff Beach and the many shops, restaurants and cafes along The Esplanade. 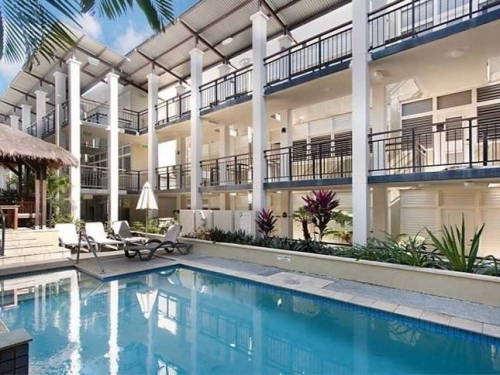 The resort also offers the perfect base to explore the Tweed Valley, Gold Coast Hinterland and surrounding beaches, villages and attractions including Tropical Fruit World, Mt Warning National Park and Gold Coast theme parks.